“JO. I just wrote one of your posts for you,” Ben said, bursting into the office as I mindlessly scrolled through Facebook. He had an excited and boyish look on his face, and I was just happy to see that he was so happy. “What?” I asked, glancing up. I wasn’t convinced. Would people really want to hear a little tupperware trick? Then earlier this week, a friend offered me a slice of cake. Her husband pulled out some Snapware to store it, and I mentioned my little trick. After an initial look of confusion, he tried it out and remarked, “Hey, that’s a good idea! That makes it way easier to serve!” And I decided it was about time to let you all in on my little amazing life hack, along with four other simple (but useful!) things that will hopefully make you think, Why didn’t I think of that? Believe it or not, sometimes we find ourselves with some leftover cake. We used to carefully maneuver the extras into a large Pyrex, snap the lid on top, and call it a day. When it was time to snack on it, I would try to use a knife to cut a slice, holding the knife at an awkward angle, and then try to gingerly extract the slice without everything falling apart in transit. Oftentimes, the cake slice would quiver precariously above the lip of the Pyrex and sometimes it would fall. Tragedy. 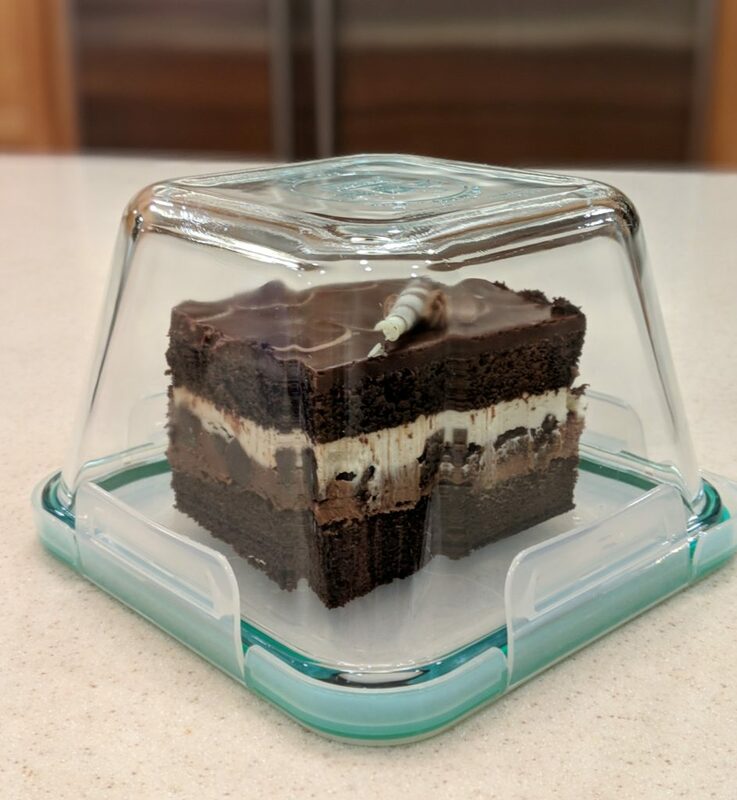 One day, it occurred to me to flip the Pyrex container over and store the cake on the lid instead of the inside of the bowl. 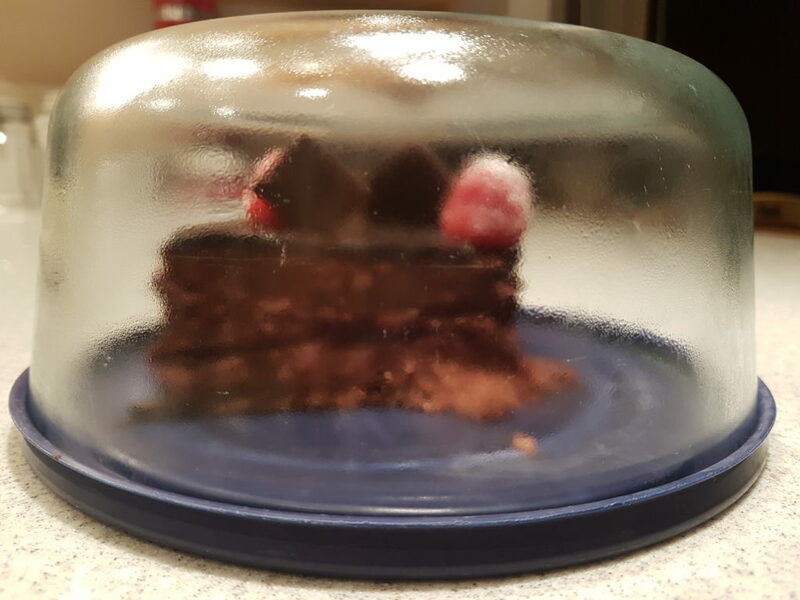 The lid would be like a plate, and the bowl could close over the top like a cake dome! When you’re ready for a slice, the cake looks lovely and you can use it like a normal plate if there’s just one slice left. For some reason, I also feel a lot better sharing leftover cake with friends when I’m cutting it from something that looks like a plate than something that looks like a bowl. 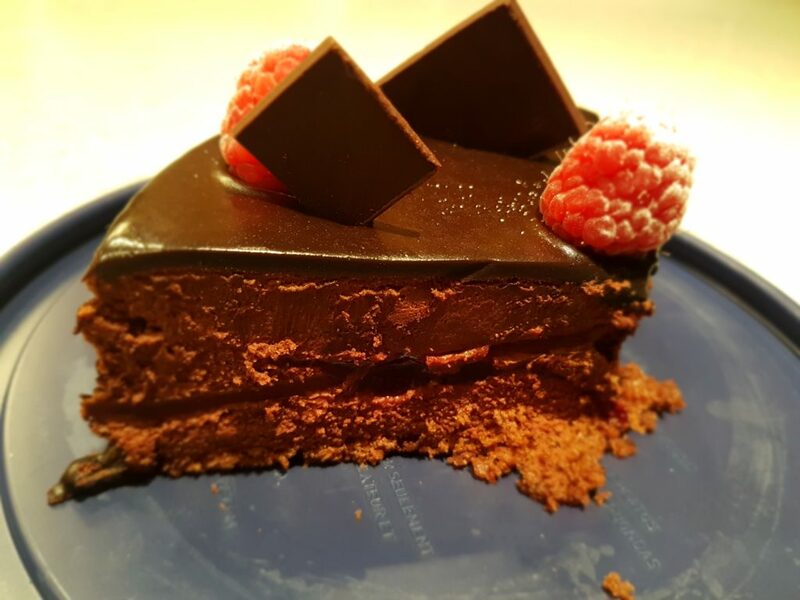 It just feels less leftover-y, and cake should always feel special :D.
2. Library app with our favorite kid magazines! I am a huge fan of our local library. It’s one of our most frequented spots… even more than Target! Between playing outside, seeing the fish tank, returning and picking up books, we’ve been going anywhere between 4-7 times a month. I became an even bigger fan when I realized you could borrow up to ONE HUNDRED BOOKS at a time. I was thrilled to realize that they wouldn’t charge us late fees for overdue children’s books, then I felt plain spoiled when my friend Kim told me I could return books from my library to other libraries (in the same network) and they’d transit them over for me no problem. The germaphobe in me rejoiced when I realized I could borrow books from home and download them directly onto my Kindle. What a time to be alive! I felt oddly grateful to be an American when I learned that you could reserve books online from an entire network of libraries, and then librarians would gather up your requested books and place them all in a convenient “holds” section for me to pick up at my leisure. And if our library didn’t have it, librarians at other libraries would find the books I wanted and then have someone drive them over to our library for me. WHO ARE THESE ANGELS?! I use this service so much that I could probably walk to my spot on my shelf with my eyes closed. When my daughter turned two, a good friend gifted us with a yearlong subscription to High Five magazine, a Highlights magazine geared for 2-5 year olds. She quickly fell in love with these and looked forward to her magazine arriving every month. We were sad when the subscription ended, and just as I was considering purchasing another year, I discovered that our library also had a whole kid’s magazine section! Now we had access to the last 24 months of High Five magazines, free to borrow. Nearly two years later, I came across my newest reason to love my local library: RB Digital. It’s an app that lets you borrow and listen to audio books on your phone, which I discovered when looking for audio books to sustain us on our long drive to Los Angeles in May. And then I discovered that the same app also allowed you to borrow magazines digitally. I wasn’t that interested until I found High Five magazines there. No way. There it was. Free. And now, downloaded onto my phone! And what, I had 41 other issues available to download? For free?? Onto my phone??? I felt like they just gifted me a hundred bucks (conveniently on my phone, no less!). LIBRARIES ARE THE BEST!!! I downloaded several of them onto my phone, along with a few issues of Ladybug and Babybug for my younger one. I don’t let my kids onto my phone too much, but when I do, this is the place they’re most excited to be, and I don’t feel any mom guilt about it at all! I dunno if this qualifies as a hack, but I think it’s super exciting and I hope you do, too. I’m not a fan of rusty can openers, but rust can happen if you wash your can opener and don’t dry it quickly enough. I also hate grimy can openers, so I was really happy to come up with this easy (and honestly, very satisfying) solution to keep the grime and rust away. I fold a paper towel in half, and then in half again to give it some thickness. Then I feed one edge of the paper towel wad into the can opener, squeezing the wad tight in between the two circles, and then turning it the way you normally would with a can. The thick wad of paper towel squishes through, grabbing any wetness (or grime), leaving a crinkly trail behind that grows increasingly clean (whew!). I go back and forth a few times for good measure, and afterward the can opener looks nice and dry and clean. I took my daughter on a plane for the first time last month. She LOVED IT. She was so friendly with the pilot that he invited her up into the cockpit! The view outside the window was a wonder to her, and when I woke up from my nap, she was thumbing through the SkyMiles magazine like an old pro. My daughter is 38 pounds, which is two pounds shy of the requirement for a sweet little (backless) booster, which I desperately wanted to use for her instead of the massive seat I ended up lugging around for her instead. It doesn’t have a top tether, so I wasn’t able to use this carseat luggage strap to attach it to my rolling suitcase. I disliked the idea of carrying it on my back because it just felt too big and bulky. I couldn’t just hold it with my arms, as I needed one hand to pull the suitcase around and one hand to hold her hand. I kept wondering what everybody else did in this situation, and when we got to the airport, I saw the answer. Most families piled their luggage onto a rented cart, and others simply held onto the clunky car seats while their partner pushed the luggage. Even with two people sharing the load, it seemed unwieldy and tiresome. I was glad I did not have to do that, and glad someone suggested I just hold it up with bungee cords! This worked well and saved a lot of trouble. Later, I put it on top of my suitcase and secured it to the handle. This was a little harder to pull around, but nice because I could let everything stand on its own without tipping over. 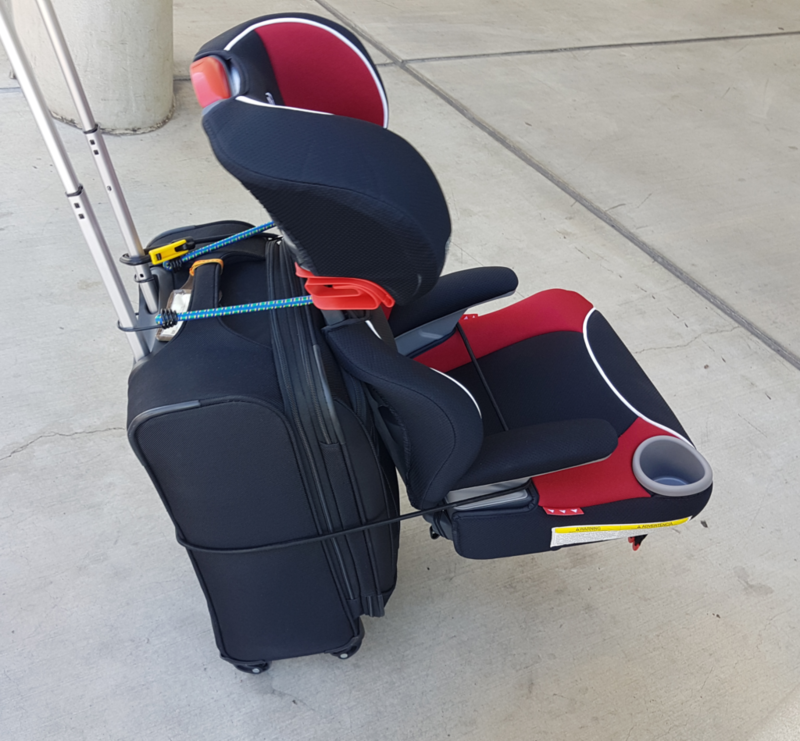 If you’re traveling on a plane with young kids and have to deal with car seats, here’s another option for you! Okay, I shared my secrets, now I’d love to hear yours! What is a random tried and true trick or technique you’ve picked up that saves you energy, time, or hassle? I’d love to hear it! SO COOL!!! Thanks for sharing, Jo!! Gonna try that cake hack next time 😀 Looking forward to other hacks! Also, we are in the midst of toilet-training and we go through A LOT of hand soap. To help with this, I bought some of the foaming hand soap pumps (one for each bathroom) and then when they get used up, I refill with castille soap and water and a few drops of essential oils (lavender and lemon are my favourite). It doesn’t cost even a fraction of what I was spending….